Heading into the Klondike hills it’s impossible to walk along the edge of Bonanza Creek without keeping an eye out for something sparkly! Bonanza was the site of the first find, following which thousands of men risked their lives in a bid to strike gold too. But it wasn’t easy to reach the goldfields. The route from the south included an arduous winter climb over mountains, ususally via the terrifying Chilkoot Pass or the equally challenging White Pass. On arrival on the other side in Carcross, hand-made rafts had to be built before continuing the journey down the mighty Yukon River to Dawson City, gateway to the Klondike. Countless lives were lost en route, and perhaps the saddest part is that those who did finally make it safely to the Klondike goldfields found that they were too late – most of the gold had already been taken. By 1899 the gold rush was over. 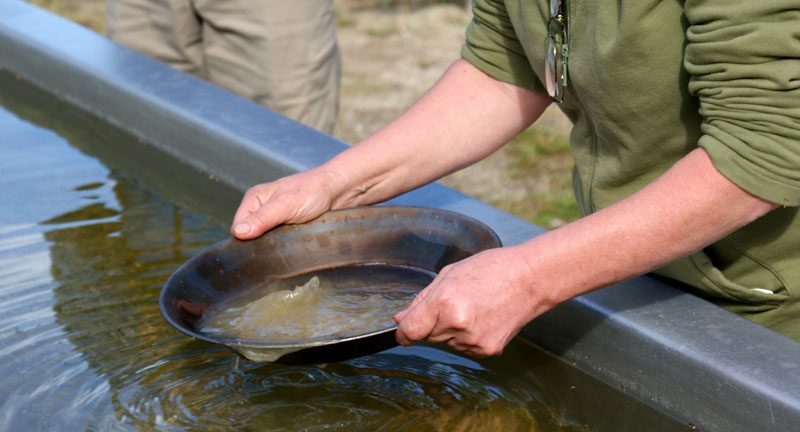 However, over a century later we find that’s actually not strictly true, as another gold rush is currently underway to extract previously undiscovered gold in the area. We saw no evidence of this though – times have changed and desperate fossickers struggling with basic equipment have been replaced by highly efficient corporations and modern equipment. The journey is certainly a lot easier these days too; the White Pass can now be enjoyed in comfort on a leisurely scenic rail journey between Skagway, Alaska, and Carcross in the Yukon. But it’s still possible to see the original narrow trail clinging to the sheer hillside below – and it’s sadly easy to understand how Dead Horse Gully got its name. 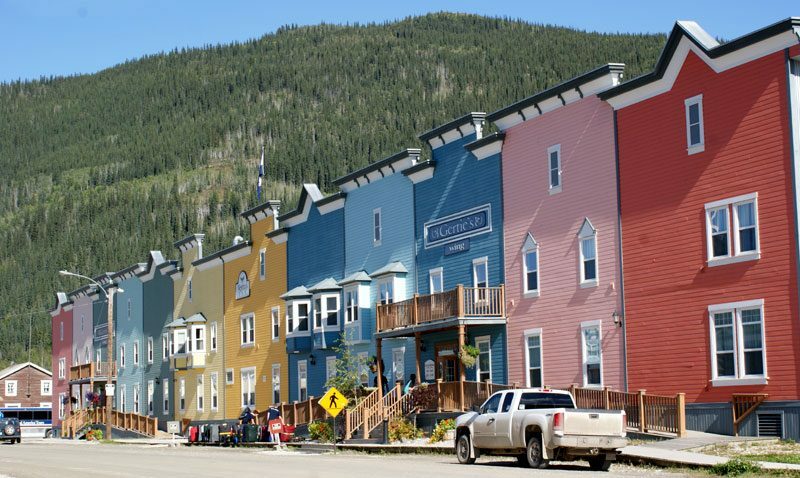 Dawson City can now be reached by regular scheduled flight, and the raucous settlement that sprang up in the late 1890s is today a quiet and uniquely charming place to stay. The tiny city still features its original wooden buildings, and all new buildings are built in the same style, giving the streets the air of a film set. Its hard to believe people live and work behind these picturesque facias, but they do. The locals are intensely proud of their pioneering heritage and everywhere you go memorabilia stands testament to the epic 1897-99 gold rush. Alas I didn’t find my fortune in the Yukon, but I was lucky enough to enjoy a wealth of priceless experiences throughout the Territory, from Whitehorse to Tombstone Territorial Park to the breathtaking Kluane National Park. All worth more than any gold nugget! To find out more about our range of holidays to the Yukon contact our team of Canada Travel Specialists for help in planning your Yukon adventure. 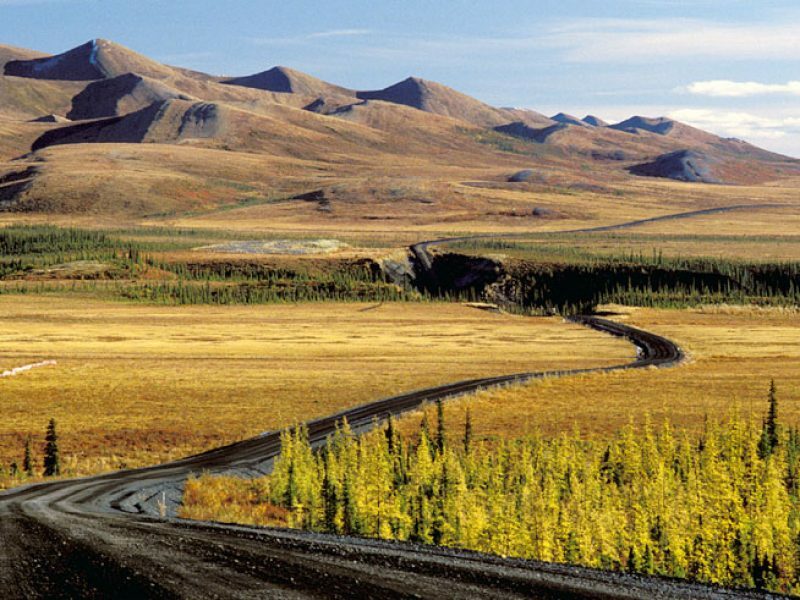 Over three times the size of England, but with just 6% of the population, the Yukon is a truly remote and untouched wilderness. Read on for more fun facts about the Yukon. Liz, Head of Worldwide Product reveals her highlights of exploring The Yukon in northwest Canada, a fascinating territory of epic landscapes.